Madeleine is third year medical student who is passionate about global health. She is interested in health policy and research. Sarah is a third year medical student with an interest in emergency medicine and paediatrics. We walk with our host between the palm trees and brightly painted bungalows, touring the community care centre for elderly and disabled Fijians. The surrounds belie the grim conditions that must be endured by the patients who live here. There is one patient in particular whom our host wants us to meet — a middle-aged man with an intellectual disability and diabetes who has lived at the home for most of his adult life. He greets us warmly and chats with our host in Hindi whilst we take in his condition. His left foot is extensively bandaged, but the skin left visible is swollen and mottled. Our host, who is the chair of our sister-committee based in Fiji, explains that the patient’s foot has been gangrenous and in need of surgical assessment for the past five years, but they have been unable to facilitate this. His gangrenous foot has frequently been infested with maggots, despite the dedicated care of the facility’s nurse. There is just one nurse employed in the forty-bed facility. Due to limited resources, she must wash the patient’s foot barehanded with soap and water. The nurse shows us her supplies: a scanty collection of antibiotics, antihypertensive medications, metformin, and needles and syringes. Recently, she was grateful when our host provided her with latex gloves to wear whilst caring for the patients. The lack of medical resources and the understaffing of care facilities were just some of the issues we encountered during our brief, but enlightening, stay in Fiji. Through Friends4Fiji, a student-led partnership between Monash University and Umanand Prasad School of Medicine (UPSM), our Fijian counterparts, facilitated a week-long placement and education outreach program. We divided our time between undertaking a placement at the local hospital and assisting in the delivery of an anatomy teaching program for Fijian medical students, led by Dr Michelle Lazarus, a senior anatomy lecturer from our university. Medical students in Fiji face challenges that we can scarcely imagine in Australia, extending from their academic resources to their expected time commitment. The information provided to students, and, by extension, doctors, is frequently outdated and incomplete, making it difficult to develop evidence-based medical practices . Despite this, the students we worked with through the committee went beyond the required learning in order to develop a solid foundation. With limited resources, they are unable to rely on specialist journals or opinions, hence students are taught to think creatively, a skill they must rely upon in their future practice . In the university we visited, frequent turnover of university administrators and lecturers had led to disruption of the curriculum such that some cohorts missed out on formal teaching of whole body systems in their anatomy course. Students described being reliant on textbooks and plastic models for anatomy teaching. There is no body donor program for dissection classes, and dissections are limited to animal carcasses at the local abattoir. Senior students must meet significant time requirements, with sixth-year students expected to perform weekly ‘on call’ shifts and night shifts, as well as attending wards on the weekends. These requirements may be explained by the inadequate hospital staffing levels, identified by comparing staff-to-population ratios with the projected numbers needed . Having medical students performing intern-level tasks assists in alleviating doctors’ workloads without costing the national health budget further, as 60% of the budget already directly funds the workforce . This shortage of fully qualified doctors has also been identified as impacting on medical training, causing a lack of post-graduate training opportunities, which contributes to emigration following student graduation [2,3]. With the many challenges these students face, it was deeply satisfying to observe their thirst for knowledge that extended beyond the curriculum, and we feel that we met a genuine need with the teaching program that we implemented. As mentioned, the challenges faced by these students grow substantially when they become doctors, leading to a crisis of emigration among Fijian doctors and a subsequent growing reliance on foreign doctors [2,3]. ‘Push’ factors, which drive young professionals out of Fiji, include heavy workload and lack of promotion prospects and are coupled with ‘pull’ factors, which draw graduates to overseas positions, such as better pay and training opportunities in developed nations . Ultimately, the high numbers of doctors leaving, particularly from the public sector, have been attributed to a complex career decision-making process involving work-related frustrations, with the primary motivation being income [3,5]. This interplay creates diverse problems, from workforce shortages and a lack of specialist training positions for graduates, to a lack of research conducted and published by Fijian authors. Among students we spoke with, intentions for future employment were divided. For those planning to stay in Fiji, students were motivated by a desire to give back to their community, with a student stating, “we study to help people, and Fiji needs A LOT of help,” and another explaining, “it will also be a good opportunity to actually help the people of Fiji get the best medical services from doctors.” Among students considering leaving Fiji, key motivators were gaining experience and learning advanced medicine, with one student stating, “I do tend to look forward to study and work overseas due to their high standard of education and learning programmes.” Whilst many of the students we spoke with had entered medicine with the very intention of giving back to their community by developing much needed skills, one can appreciate the frustrations they face. Every day, when these graduates go to work, they face shortages of essential medications and supplies, which interfere with patient care. There are also shortages in onshore graduate specialist training programs, which are limited to anaesthesia, medicine, obstetrics and gynaecology, paediatrics, and surgery . These graduate options are a fraction of what is offered internationally, and do not meet the demand for specialists in Fijian hospitals, making it difficult for practitioners to receive adequate guidance for patient care [1,3]. The medical students we met in Fiji had diverse career aspirations. One student had greatly enjoyed her rotation at the psychiatric hospital in Suva, and was keen to pursue a career in this field, noting the dire need for more psychiatrists in Fiji. However, due to a lack of training positions, this student was contemplating leaving Fiji to pursue psychiatry training internationally. Despite the competitive nature of entering the postgraduate training programs, the number of specialists accepted into these programs does not meet public need, with only 48.5% actually working in the public sector following completion of specialist training . Though there were many recognised benefits of working in Fiji, including cultural acceptance and religious responsibility, many doctors in Fiji experience significant frustrations with the facilities, bureaucratic processes, and the salaries they receive, factors that the students we spoke with already identify as concerns [3,5]. The lack of basic supplies and difficulties patients faced when accessing critical healthcare in the Fijian facilities were more significant than either of us anticipated. The Fijian public health system relies on a combination of taxpayer funding and external support through a number of United Nations agencies and nations including New Zealand, Australia, and the USA . During our placement at the local hospital it quickly became apparent how underfunded and under-resourced this system is. Every investigation we considered ordering was carefully scrutinised by our supervising doctor, with a much heavier reliance placed on clinical assessment. This in turn impacts medical education, as students and doctors cannot rely on investigations being available and are hence required to think critically and to have a broad knowledge base. The lack of adequate technology to maintain evidence-based practice has also led to pressure from pharmaceutical companies presenting misleading information to doctors, placing further stress on doctors to avoid influence where possible [3,5]. This was particularly evident with medical imaging, which is limited in Fiji due to a paucity of technicians and facilities. Fiji has just three CT scanners  and the one located at our hospital was broken for the duration of our placement, and had been for quite some time. This stems from the fact that much of the machinery is donated second-hand from other nations and there is a reliance on this non-functional equipment, which impacts on delivering care to patients [1,2]. On the wards in the hospital, basic items which Australian doctors would consider essential for patient care were scarce. We particularly noticed the lack of access to products for safe hand hygiene practices and personal protective equipment. The lack of access to this basic equipment, combined with insufficient funds for medicines, were identified as primary concerns among the workforce, further contributing to emigration [2,5]. When it comes to ongoing care, shortages of essential medications make it difficult for the doctors to maintain a regular supply for their patients . All medications are monitored monthly and sourced through the government-funded Fiji Pharmaceutical Services, however “stock-outs” are common . The strategies in place for drug regulation are poor, and the quality of imported drugs is a concern to Fijian doctors due to a potential lack of stringent quality testing [1,2]. It was an incredibly steep learning curve to experience such fundamental differences in resources, and has certainly made us much more aware and grateful for what we have readily available in metropolitan Australian hospitals. Another major difference identified during our stay was the restricted nature of mental health care in Fiji. As one student we spoke with stated, “mental health is mostly ignored in Fiji.” Despite the national emphasis on institutional care for people with ongoing mental illnesses, there is just one dedicated psychiatric hospital in Fiji, located in Suva . This hospital offers generalised psychiatric services, however, like many other areas in Fiji, there are no sub-specialist psychiatric services available . Within the wider community, psychiatric help is limited. At the hospital where we undertook our placement, those suffering acute psychiatric illness or at risk of committing suicide could be cared for in the euphemistically-named ‘Stress Ward’; however there was no psychiatrist or specialised staff available. As few students are able to undertake placement at the specialised mental health hospital, the stress ward and community placements comprise much of their practical experience of mental health. When asked their thoughts about mental health care in Fiji, students identified it as an improving area that still needed more work, with one student explaining, “five to seven years ago, no one bothered about mental illnesses and brushed it aside. So many women had never heard of the term ‘post-partum depression’. Now they get screened regularly. Mental health was an unaddressed issue in the past but we are getting there.” Whilst progress has been made to reduce stigma associated with mental illness through education and awareness by mental health advocacy groups, 42% of Fijians still report that they would be embarrassed to seek medical help for a psychiatric issue [2,8]. This attitude towards mental illness is far better in urban centres than in more remote regions, and level of educational attainment is positively correlated with receptiveness towards people with mental illnesses . However during our visit to a community care facility, we noted residents with schizophrenia who spent most of each day bed-bound. Whilst these patients have access to antipsychotic medication, there is no access to counselling or rehabilitation workers who could help them return to the community. Standardised clinical treatment guidelines and referral protocols are still being developed by the relatively new Mental Health Clinical Services Network, which hopes to make mental health a priority through advocacy and legislation . The Fijian medical students we spoke to were eager to cultivate the positive trend of increased community awareness and knowledge, combating the stigma of mental illness which predominates in Fijian society. During our stay and discussions with the Fijian students, we learnt that similar to our own university, there was a slight female predominance of students. However, gender roles in Fiji have a clear effect on the academic and medical culture, something we particularly noticed as an all-female teaching team. In Australia, the challenges that women face in medicine are well documented, from sexual harassment to reduced earning potential [9,10]. However, in Fiji, females face even greater social and economic disadvantage, and this perception pervades many aspects of their academic and healthcare systems . The majority of the lecturers and university administrators we met during our time in Fiji were male, and male authors contribute five times more than female authors in research conducted by Fijians . In saying this, the ‘Learning Evidence-based Medicine and Research in Unison’ program developed by Friends4Fiji has seen an equal number of male and female students from UPSM engage with research, and many students, both male and female, spoke of a desire to develop research skills. Within the wider health workforce, 95% of nurses are female, and despite the medical student ratio observed, two thirds of doctors are male . Community health workers, poorly paid basic healthcare workers in rural village areas, are likewise predominantly female . In the specialty field, however, it seems that change is occurring, with almost 40% of graduate specialists being female, and gender having little impact on decisions to resign . Furthermore, the high number of female medical students may represent an exciting potential shift towards a more equitable future for Fijian women. The student response to our teaching by the end of the week was particularly rewarding. In a program of didactic teaching delivered by male academics, female students expressed being inspired to think of themselves as future educators and academics. Fiji is a nation of two major ethnic groups; ethnic Fijians make up 57% of the population, and Indo-Fijians make up 37% of the population . Something neither of us anticipated was the emphasis placed on race within the health system, where one of the key characteristics identified on each patient profile is the ethnicity of the patient: Fijian, Indo-Fijian, or other. One of the reasons cited to explain this is the differing epidemiological profiles of the two groups, with ethnic Fijians more likely to contract infectious diseases, and Indo-Fijians more likely to have ongoing non-communicable diseases, particularly cardiovascular disease . However, a number of other key differentiating features have been identified within not only the wider population but also the health workforce, and it was clear that racial differentiation was a part of their culture. Within the wider community, mental health outcomes are far worse among Indo-Fijians, with a suicide rate of 24 per 100,000 compared to four per 100,000 per annum for ethnic Fijians . Within the health workforce, there has been significant Indo-Fijian emigration, with much of this being attributed to the political coup in 2000 against the first Indo-Fijian Prime Minister, leading to disillusionment and ongoing concerns among Indo-Fijian doctors . Conversely, among Fijian researchers, Indo-Fijians contributed more than ethnic Fijians (58% versus 40%) . We observed this racial differentiation in all hospital relationships – patient to patient, doctor to patient, and doctor to doctor – as well as in the education setting. It was much more pronounced than it would be in Australia, and again it was something we needed to learn to adjust to during our stay. Despite the brevity of our stay, we gained a profound insight into healthcare delivery in an under-resourced setting. We were extremely fortunate to have our stay facilitated by a dedicated group of medical students through the Friends4Fiji committee, and we made lasting friendships that have helped to solidify and grow our partnership. It was a challenging, but valuable, experience to be thrust into a position of responsibility that we had not yet encountered as clinical students in Australia. While on placement in Fiji, we were actively making medical decisions in consultation with our supervising doctor. We came to admire the Fijian students who, despite the challenges of their medical education, are thrust into a role of critical responsibility much earlier than in our program. To be able to apply the knowledge we have gained in our studies and also make a difference in patient care was extremely rewarding. Gaining insights into the lives of these students and seeing the issues facing their nation through their eyes was a unique experience. Given all we gained through this experience, it was extremely rewarding to also be able to help fulfil a need for further anatomy teaching, guided by our dedicated and supportive lecturer, Dr Michelle Lazarus. We also hope to engage the students in joint research projects, furthering our knowledge and developing our evidence-based medicine skills together. Our hope is to continue to grow this partnership between our two universities by fostering relationships between medical students and creating opportunities for student exchange. 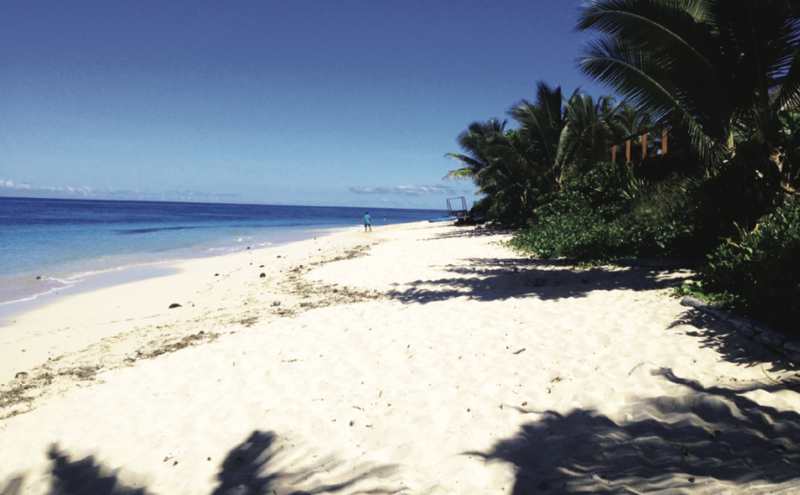 Lowe M. Evidence-based medicine—the view from Fiji. Lancet. 2000;356(9235):1105-7. Roberts D, Irava D, Tuiketei D, Nadakuitavuki M, Otealagi M, Singh D et. al. The Fiji Islands health system review. Health Syst TransitTransit. 2011;1(1):6-123..
 Oman K, Moulds R, Usher K. Specialist training in Fiji: why do graduates migrate, and why do they remain? A qualitative study. Hum Resour Health. 2009;7(9):1-10. World Health Organisation. The world health report [Internet]. Geneva, Switzerland: World Health Organisation; 2006. 237p. Available from: http://www.who.int/whr/2006/en . Francis ST, Lee H. Migration and transnationalism. Canberra, Australia: ANU Press; 2009. Oman K, Moulds R, Usher K. Professional satisfaction and dissatisfaction among Fiji specialist trainees: what are the implications for preventing migration?. Qual Health Res. 2009;19(9):1246-58..
 Aghanwa H. Attitude toward and knowledge about mental illness in Fiji Islands. Int J Soc Psychiatry. 2004;50(4):361-75. .
 Roberts G, Cruz M, Puamau E. A proposed future for the care, treatment and rehabilitation of mentally ill people in Fiji. Pac Health Dialog. 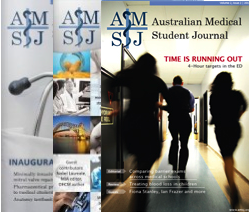 2007;14(2):107-10..
 White G. Sexual harassment during medical training: the perceptions of medical students at a university medical school in Australia. Med Educ. 2008;34(12):980-6..
 Cheng T, Scott A, Jeon S, Kalb G, Humphreys J, Joyce C. What factors influence the earnings of general practitioners and medical specialists? Evidence from the ‘Medicine in Australia: balancing employment and life’ survey. Health Econ. 2011;21(11):1300-17..
 Cuboni H, Finau S, Wainigolo I, Cuboni G. Fijian participation in health research: analysis of Medline publications 1965-2002. Pac Health Dialog. 2004;11(1):59-78. .
Imatinib resistance in chronic myeloid leukaemia caused by Bcr-Abl kinase domain and non-Bcr-Abl mutations: a comparison and review.